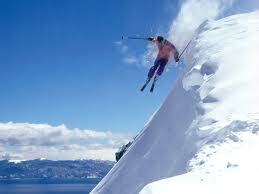 ← The Sports Archives – Urban Skiing: Death Defying Winter Sports Trend! The Sports Archives – Staying Safe on the Slopes! As the recent tragedy that has befallen Michael Schumacher once again sadly demonstrates, skiing can be one of the most dangerous sports to learn. The first priority of any good skier should be safety – not just their own but that of other skiers too and especially children, who maybe aren’t as robust or experienced enough to deal with certain situations. With that in mind, here are ten golden rules to abide by, from the first lift to the last run of the day, to ensure your next skiing holiday is both fun and safe. 1. Ensure you have the right equipment. Boots and gloves that fit, sunglasses or visor to protect you from the sun and, probably the most important thing of all, wear a helmet! Headgear that meets European safety standards can help you avoid serious injury. You can find a range of quality helmets, plus body armour and supports, for both children and adults, in the Tallington Lakes Pro Shop. Remember, if you receive a knock to the head, even if you are wearing a helmet or it seems harmless, it’s still a good idea to get yourself checked out straightaway. 2. As you should before undertaking any form of exercise, it’s advisable to warm up first. A few stretches in your hotel room will reduce your chances of picking up a strain, which can ruin your holiday plans. 3. Keep your wits about you on the lifts. Crowded lift stations can be dangerous, as people surge forwards when a new lift arrives. Keep children bunched together so no one gets separated and be wary at the platform edge. Once you near the top, get ready to disembark well in advance, with your skis and poles in the correct position. And of course never remove the safety barrier until it’s safe to do so. 4. Remember basic ski etiquette. You need to be in control of your speed at all times. The person in front always has the right of way. When joining a piste, always pause to check you’re not heading directly into someone’s path. Similarly, if you’re heading downhill and see a junction ahead, check your speed in case someone cuts you up. 5. Know your limits. If you don’t feel confident to tackle that black run yet, don’t feel pressured into doing so. And only the very experienced skier should ever risk going off-piste, as there is serious risk of injury or avalanche. Ideally anyone going off-piste should have a guide accompanying them to ensure they don’t get into trouble. 6. Layering clothing helps you to regulate your body temperature easily. That way when you’re hot from skiing you can take a layer off and replace it when you’re on the lift and your temperature falls due to inactivity. 7. It’s a good idea to carry around a tube of sunscreen and stop to apply it regularly. When the weather is cold or a bit cloudy, you can easily be tricked into thinking there’s no risk of sunburn but there is, even more so when you’re right at the top of a mountain and that bit closer to the sun! So butter up and avoid coming back to the hotel looking like a reverse panda. 8. Carrying a small rucksack with you shouldn’t impede your skiing ability and that then allows you to carry essentials such as snacks, water, sun tan lotion, a torch and mobile phone (plus spare battery). Better to have them and not need them, than need them and not have them. 9. Never, ever, ski under the influence. On a cold day it can be really tempting to stop off for a delicious warm glühwein now and again at the piste-side restaurants but they add up very quickly and over-consumption of alcohol can badly affect your skill and concentration. 10. If possible, it’s best to always ski with someone else for safety. If you can’t, or simply prefer not to, then make sure you let someone know the route you’re taking and when you expect to be back at the hotel. Where Skiing Began, An Ongoing Event! 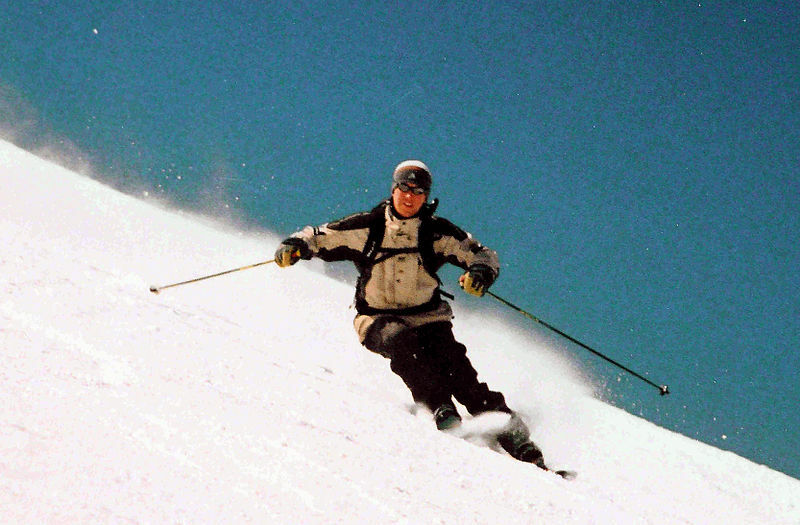 This entry was posted in Other and tagged dangerous sports, Michael Schumacher, ski blogs, ski etiquette, ski gear, ski helmet, skiing, skiing equipment, skiing safety tips, Snowboarding, sports and fitness, sports and leisure, sports and recreation, Sports Archives, Sports Blogs. Bookmark the permalink.